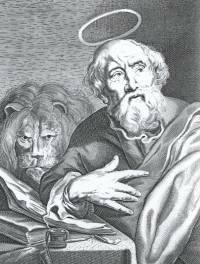 Mark is symbolically portrayed as a lion because his Gospel begins with the history of John the Baptist, the voice crying from the wilderness, and he accents the miraculous powers of Jesus. 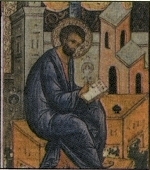 Most scholars believe that Mark's Gospel was the first of the four to be written. 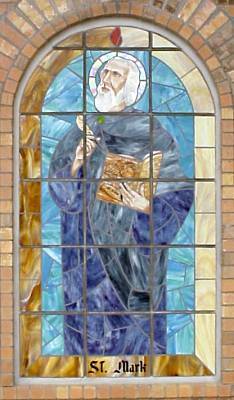 Mark was probably not a disciple of Jesus, but was a disciple of Saint Peter some time after Jesus' Death and Resurrection, so the writings of Mark's Gospel are most influenced by the accounts of Saint Peter.